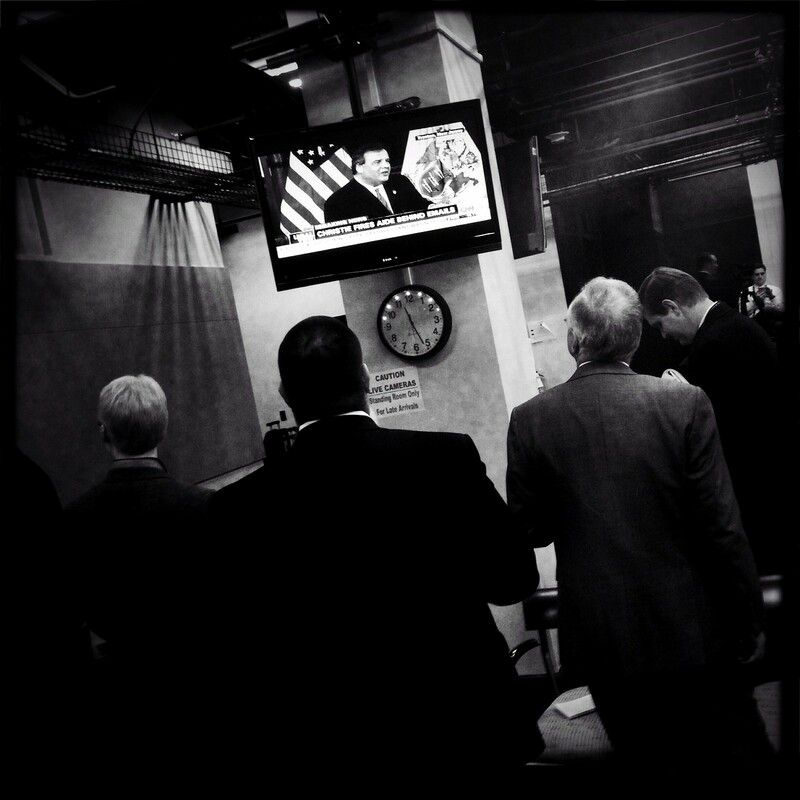 While waiting for Speaker of the House John Boehner to arrive for his weekly press conference at the U.S. Capitol, reporters gathered around a television to watch part of New Jersey Governor Chris Christie’s two-hour news conference where he answered questions about allegations of abuse of authority. Emails released Wednesday suggested that his Deputy Chief of Staff helped arrange for the closing of lanes to the George Washington Bridge to punish the Mayor of Fort Lee for refusing to endorse Christie for re-election. Tags: capitol Hill, People, photojournalism, photojournalist, political photography, Politics, washington d.c.